Megan E. Bryant will be one of the writers participating in the 2017 Bookmarks Festival of Books and Authors, September 7th–10th, in downtown Winston-Salem. Make plans to attend this annual festival and meet Megan and the many other writers showcasing their talents. After graduating from New York University, Megan worked as a children’s book editor for five years, and in 2006 made the transition to full-time writing with a focus on children and young adults. She has written hundreds of storybooks, chapter books, easy readers, and board books. Her debut young adult novel, Glow, calls attention to a true period in American history. Scholastic Publishers will release her Pocket Geniuses series targeting second- through fifth-grade readers in 2018. Megan has several ideas for other young adult novels, so stay tuned to her social media for new books. She and her family live in Forsyth County, where Megan is active in church, teaching, Girl Scouts, and volunteering in the community. Megan weaves the story of Glow between two periods of history. Lydia is a young woman who begins a job during World War I and shares her story via the letters she writes to her beau fighting in the war. Julie is a modern-day young woman who is also working and hoping to replenish her college fund. Megan skillfully adapts her writing style to each of the two characters to reflect the period in which each lives. Julie discovers an old painting while rummaging through a consignment shop and is intrigued by its secret. It glows in the dark and reveals a completely different picture! Julie is obsessed with the quest to find more works by this unknown artist and discover the artist’s technique in the glowing hidden pictures. Her obsession takes hold and begins to override her relations with her mom, her best friend, and her new friend, Luke. The danger she has put herself and others in is disclosed in dramatic fashion and uncovers a dark history in America’s factories. Glow reveals a period in American industry when there were no defined safety guidelines for employees; employers were not subject to regulations or disclosure regarding the conditions or impact of work on the lives of factory workers. In this situation, young girls, known later as the “Radium Girls,” used radioactive paint to make the world’s first glow-in-the-dark product (watches for the military). They worked without any safety precautions and ultimately became radioactive themselves. The intense, detailed work resulted in the practice of “lip pointing,” that is, ensuring the brush tip was pointed by shaping the point with their mouth, thus ingesting radioactive paint on a daily basis. They were told the paint was harmless and, in fact, good for them! Girls were encouraged to practice their technique and painted their nails or created glow-in-the-dark jewelry on their skin. Many lost their lives to radioactive poisoning. Even today, Geiger counters still register radioactivity at their gravesites. 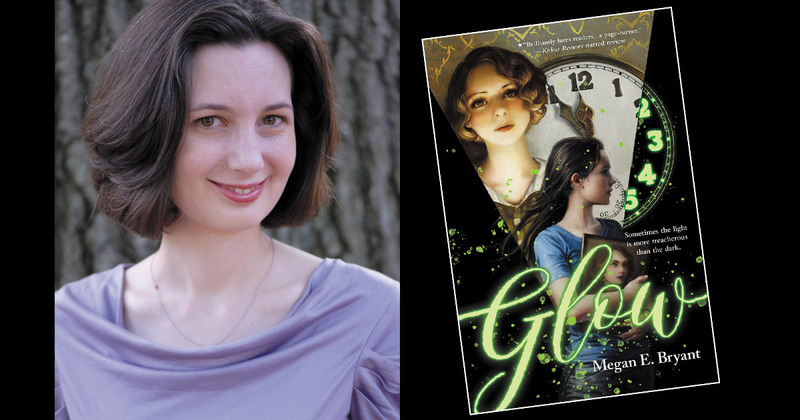 Megan will be in conversation with fellow young adult writer Martha Brockenbrough, author of Alexander Hamilton, Revolutionary, on Saturday, September 9th. The session will be approximately 45 minutes, to be followed by a book signing. Purchase Megan’s books while attending the Bookmarks Festival of Books and Authors at the Bookmarks website (bookmarksnc.org), or at their nonprofit, independent bookstore, located at 634 W. Fourth Street (#110). Their hours of operation are Monday through Saturday from 10:00 am to 9:00 pm, Sunday from noon to 6:00 pm. Convenient free parking is available behind the bookstore, off Holly Street. Glow will also be available in e-version. Follow Megan on social media (Facebook and Twitter) and visit her website (meganebryant.com). Forsyth Magazines writer since 2012. Vonda was born in Greensburg, KY. With a father who worked for the railroad, she grew up in several areas including various parts of Tennessee and Alabama. Eventually, Vonda relocated to North Carolina and has called Winston-Salem home for almost 40 years. 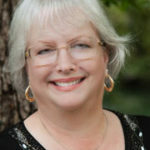 Vonda has a degree in English and media communications and recently retired from HanesBrands after 37 years. She joined the Forsyth Magazines team a few years ago at the encouragement of her daughter, Denise, who as a senior writer. She enjoys traveling, knitting, cooking and reading (most of all, reading about military history). “I love the variety of articles (including human interest, historical, informational, local businesses, service organizations and humor),” said Vonda.